Autoimmune diseases are notoriously hard to diagnose. Most patients see at least five doctors over the course of nearly five years before getting to the bottom of the problem. With a specialist like Dr. Jill Schofield at the Center for Multisystem Disease, you won’t suffer that long. Dr. Schofield is one of the first physicians in the world to complete fellowship training in multi-specialty autoimmune disease. With a dedicated focus on autoimmune disease and its array of bodywide symptoms, Dr. Schofield works closely with each patient, considers and tests for autoimmune diseases that might account for the patient’s symptoms and physical findings, and develops a customized treatment plan. If you need help with ongoing symptoms, call the office in Denver or book an appointment online. Your immune system consists of a complex network of specialized cells and organs that coordinate their actions to protect you from bacteria, viruses, and other foreign invaders. A key part of the immune system is the ability to identify and target dangerous cells and substances. To do this, the immune system creates antibodies that recognize foreign invaders as soon as they enter your body. When you have an autoimmune disease, your immune system mistakenly identifies a molecule or molecules in your own body as harmful. As a result, your immune system begins attacking your normal, healthy cells, causing damage instead of preventing it. Only 8 to 10% of the population will ever develop an autoimmune disease. It is thought that in order to develop an autoimmune disease, you must inherit a set of genes that makes your immune system more active than average AND you must then be exposed to a certain trigger or set of triggers in the environment that cause an autoimmune reaction to occur. In general, triggers are anything that causes inflammation in the body, for example an infection, a vaccine, and surgery or other trauma. More than 80 autoimmune diseases have been identified, representing a diverse group of disorders that typically affect women more often than men. It’s estimated that 75% of all patients with autoimmune disease are women. Although autoimmune diseases tend to run in families, a specific type of autoimmune disease is not usually inherited. More commonly, there may be five family members who develop five different autoimmune diseases. Their non-specific, multisystemic symptoms often lead to a delay in a specific diagnosis from being made. Without the help of a specialist like Dr. Schofield, many patients struggle to get an accurate diagnosis and effective treatment. Dr. Schofield devotes extra time to each patient, aiming to get to the true cause of your symptoms that allows the development of a customized treatment plan. With the goal of improving your quality of life, your treatment plan may be just as multifaceted as your symptoms. You may receive medication, dietary advice including how to follow an anti-inflammatory diet, a plan for relieving stress, and recommendations for exercise that are safe and improve your symptoms. Some patients require therapies targeted at the immune system. 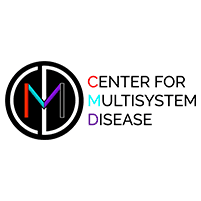 At the Center for Multisystem Disease, the team focuses on the whole person, improving your symptoms and preventing disease flare-ups. They also strive to develop a community of people with similar health problems that may provide emotional support. If you have symptoms and can’t find answers, you can count on Dr. Schofield’s expertise in diagnosing and managing autoimmune disorders. To schedule an appointment, call the Center for Multisystem Disease or book an appointment online.